The northern, dog–friendly, log-cabin-with-hot-tub, mid-week break with Grandad and Bruv is becoming a bit of a feature of our Summers. This year, we bagged some decent weather as well. Even in the Peak District. 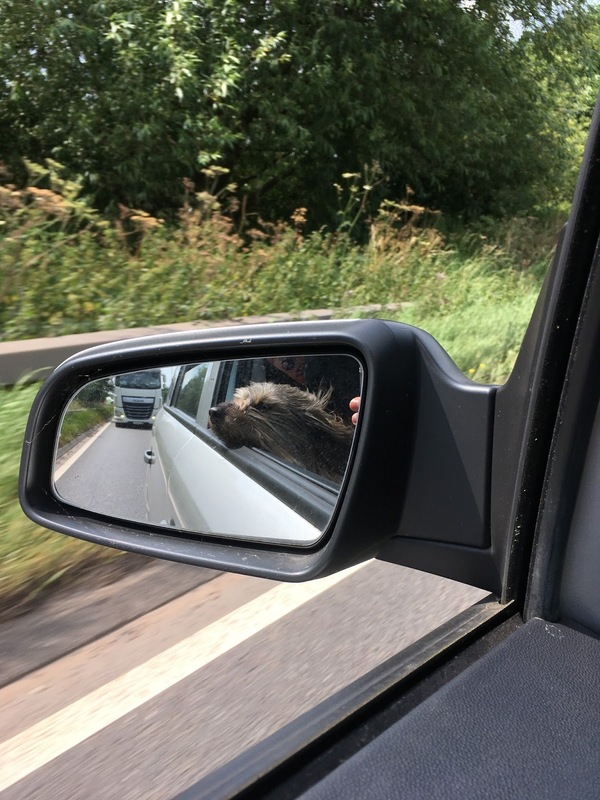 Travelling up the M1 in 32-degree heat was no joke though, especially with my hairy dog twitching between my legs. Nuca is a Tibetan terrier (mostly), more accustomed to biting winds channelled through Himalayan passes than a super-heated asphalt motorway. She doesn’t like car journeys at the best of times. In that heat, we were reluctant to put her in the back with all the luggage. Hence her nominal berth in the footwell on my side of the charabanc. I say nominal because she spent most of the time on my lap with her head out the window and tongue lolling into the hard shoulder. Drool and sticky dribble everywhere. The dog’s reluctance to travel in the car at all – any part of it - had found a new manifestation only the day before. We had all met up with Mrs A’s family in MK for Fathers Day, leaving Nuca in the dining room. Or so we thought. When we returned several hours later, we found the animal in the garden, tail spinning like a child’s windmill, ridiculously delighted to see us. A screaming hot day and we’d left her outside. We felt terrible. Bad doggie parents. She did have water and shade, I should add. Packing up the car for the Peak District trip, she spotted the keys coming out again. In a flash she turned tail and headed for the same spot under the bistro table (dahlings…) where she dodged a bullet the day before. Curious canine psychology. Searing heat or no, she was prepared to play the same card again rather than face a car journey. I say having the hot dog in the front seat was no joke. At one point it actually was. We overtook a dirty white Transit somewhere near Leicester, only for him to undertake us in a 80mph manoeuvre up the inside lane and then slow down to our pace. “What the hell is he playing at?” screamed Mrs A.
I was about to dish out one of my best non-driver low eye-brow scowls when White Van Man met my face with a beaming grin, leering in at the car. His little Jack Russell terrier was on the dashboard doing giddy jumps and yapping away at Nuca on my lap. The driver thought this was hilarious and kept pointing at the pair of them. He must be a barrel of road-rage laughs on a long distance journey. Enough about the dog. Oh, not quite. The park, about which were scattered the 30 or so Scandinavian-inspired cabins, was extensive enough (just) for a woodland walk. Perfect for an amble with the dog. Had I been paying attention to underfoot conditions rather than reading a charming biography of a Californian Redwood posted by its trunk, I would have prevented Nuca dragging me into a mound of nettles in pursuit of a squirrel. Instead, a cloud of mosquitos rose from the vegetation to silently sink their probes into my bloodstream, condemning me to days of itchy grief the like of which I have never experienced in England. They think I’m tasty, the little bastards. On that walk there was a wishing tree where visitors had hung up home made offerings and gifts so that the fates might smile kindly on them. 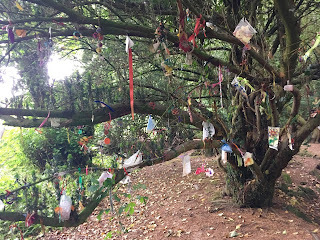 Amongst the dream catchers, twisted ribbons and paper hearts, someone had hung up a dog poo bag. I ask you. The park was just outside Ashbourne. The town is a good solid, medieval shape built of millstone grit into the surrounding hills. The old town has a couple of cobbled public squares at its heart and there remain plenty of signs of affluence from previous centuries in the proud public buildings, handsome town houses and attractive shops. It is dealing less well with a 21st century problem: choking heavy industrial road traffic. A local cab driver told us that the town has been waiting for a bypass for 40 years. There are four quarries nearby which mean the narrow streets are rocked by 26-tonnes lorries carting roadstone down south. We also noticed loads of bulk haul milk lorries and refuse skip hauliers. The trucks absolutely thundered past the entrance to the park down the A515 into the town, making the more prosaic agricultural traffic seem like light relief. 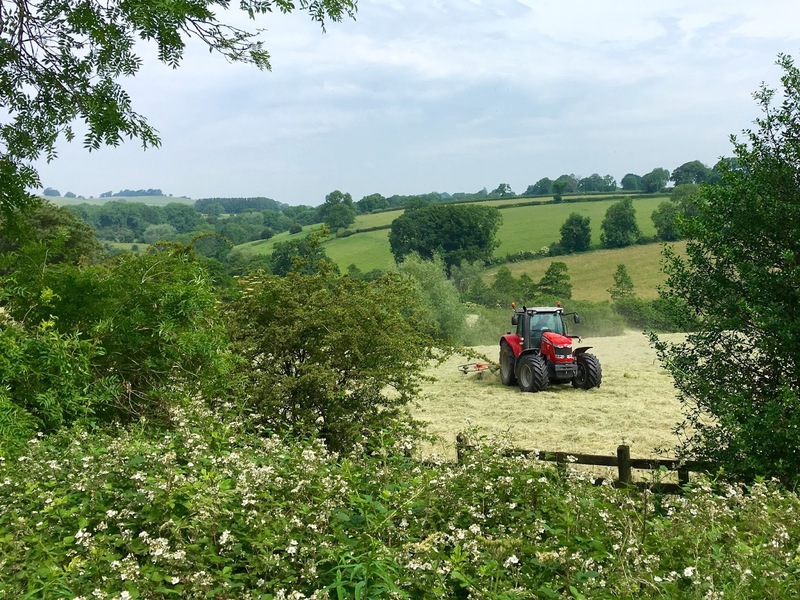 One of the best walks in the area is the Tissington Trail, following the approximate route of the A515 between Ashbourne and Buxton. As we ambled along the track I mused how ironic it used to be a railway to Buxton until 1962, and could, if still open, be taking some of the freight strain off the nearby death-road. Damn. 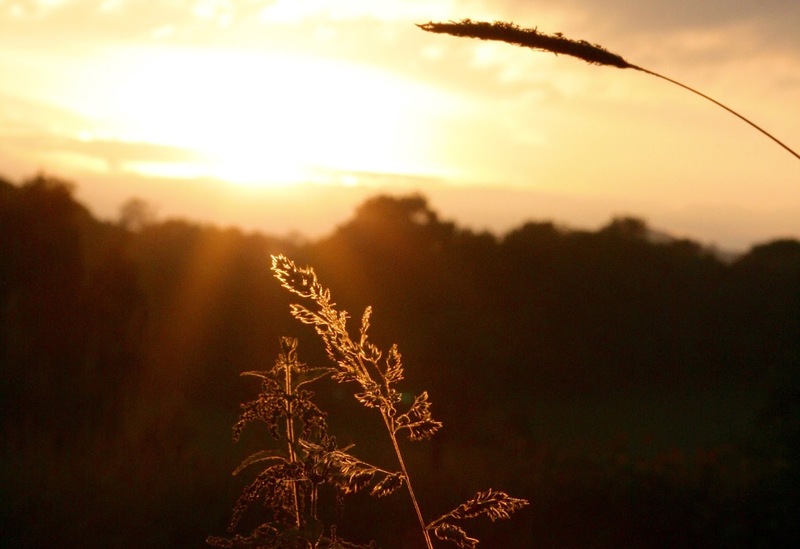 There’s more to this environmental stuff than meets the eye. 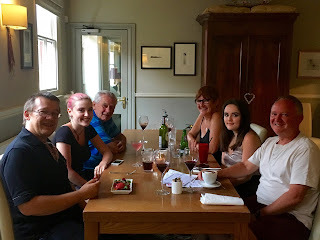 On that particular day we looped around the village of Tissington itself and back via the pub in Thorpe for a beer and a burger. Tissington is an estate village of the FitzHerbert family, residing in Tissington Hall since 1609. The village is pristine, with all the houses constructed in the same style dating from a rebuild in the 19th century. Cables, aeriels and satellite dishes are all discreetly tucked away round the back. The Lord of the manor probably has half an eye on lucrative contracts for period TV shoots. The pub in Thorpe was an altogether more informal experience. The Old Dog, it was called. No jokes please. There were certainly none for me. No matter how much I cajoled, I couldn’t get Mrs A and the hound to stand under the pub sign for a pic. Much as we liked the cabin, with its uninterrupted view over the fields and the hot tub on the balcony, it appeared to be built for giants. We couldn’t get a cup of tea or a glass of beer without standing on a chair to reach the cupboards over the sink. Someone eventually had the bright idea of taking all the crockery and glassware out and lining them up on the worktop to enable easier access. Genius. This height-ist guff was a bit of a feature of the park, come to think of it. 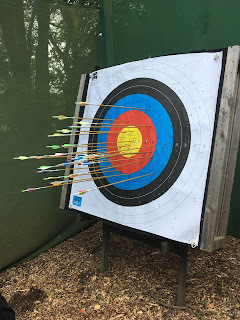 Bruv, the girls and I booked an archery session during which we were subjected to flagrant abuse. “If you find the top of the bow is catching on this roof beam”, said our instructor Aaron, caressing said beam, “you can stand back there instead”. He glanced at the four of us, grinning at him from our frames that did not breach a five-foot-five-inch threshold between us. The beam would not be an issue. The archery was a right laugh. I was staggered how good the girls were, given that they had previously shown no aptitude for any other sport ever invented. In fact daughter No 1’s hapless slapping when attempting to catch balls of any description could almost be a new sport. And yet here were the both of them fizzing arrows into the bullseye from 30 feet away after only the most rudimentary coaching. Bruv was even better. We revised our view. Only 98? How did the he miss out on two? So the real top score, for mere mortals was 84. Brave promptly knocked that off the leader board with a blitzing 86. Pretty impressive, given that he was carrying an injury. The shower head had fallen off its hook earlier that morning and smashed into Bruv's foot, raising a lump the size of a golf ball in double quick time. 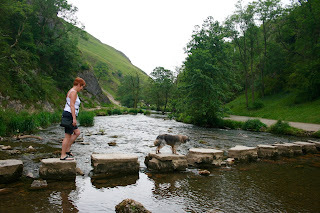 He also managed a 6 mile walk with Mrs A, the dog and I over to Dovedale, with only minimal limping. Tough as teak. 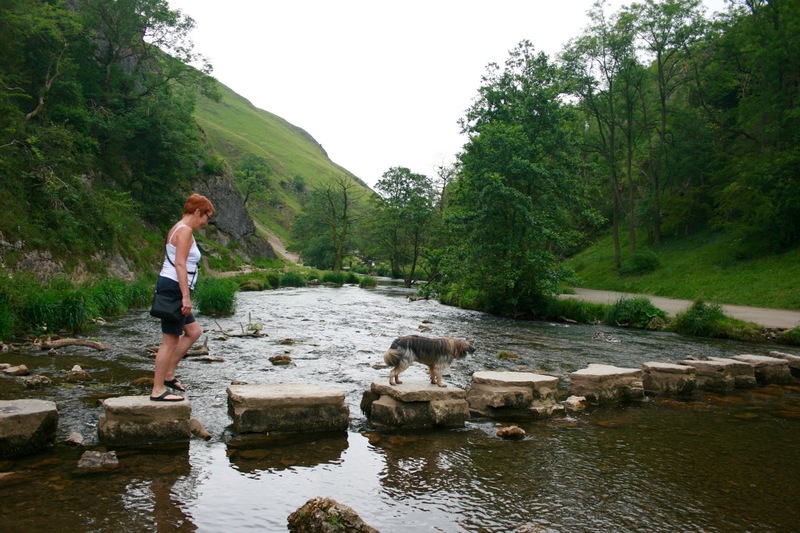 Dovedale is splendid limestone gorge north west of Ashbourne, where steep cliffs flank the twisting river. I’ve been there before but not for about twenty years. The stepping stones at the valley bottom are a bit of a visitor honeypot. However, we tramped over Lindale from Thorpe and didn’t see a soul. 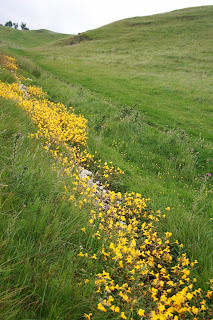 The path followed the Lin, no more than a stream at this point festooned with attractive clumps of Monkeyflower. 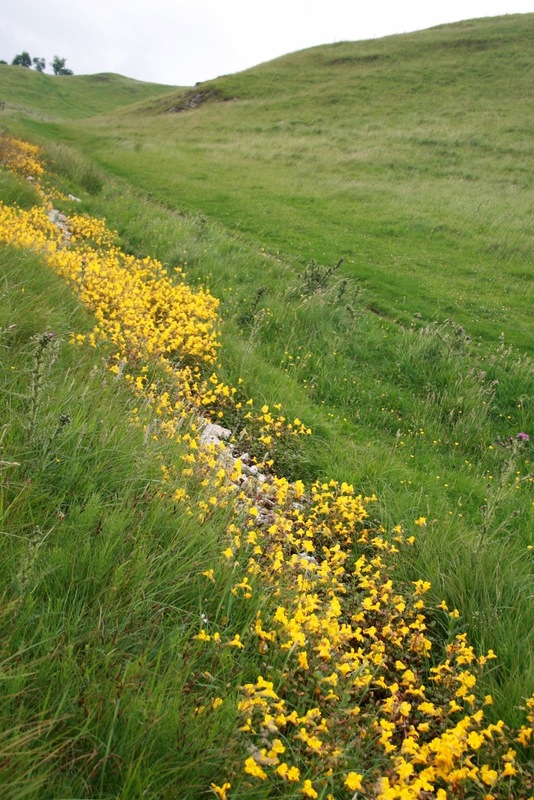 These are yellow, antirrhinum-like flowers with contrasting red blotches on the petals. 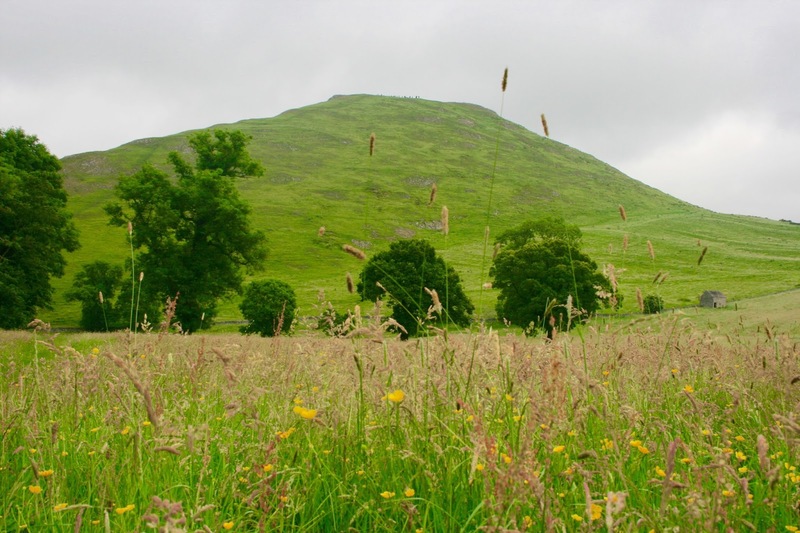 Dovedale is one of the few spots they are found. Only when we emerged at the confluence of the two waterways did we meet groups of people who had walked from the car parks downstream. Our circular route rounded Thorpe Cloud on our left and the main path on the opposite bank where we saw consecutive snakes of primary school kids on outings from the coach park to the stones and back again. 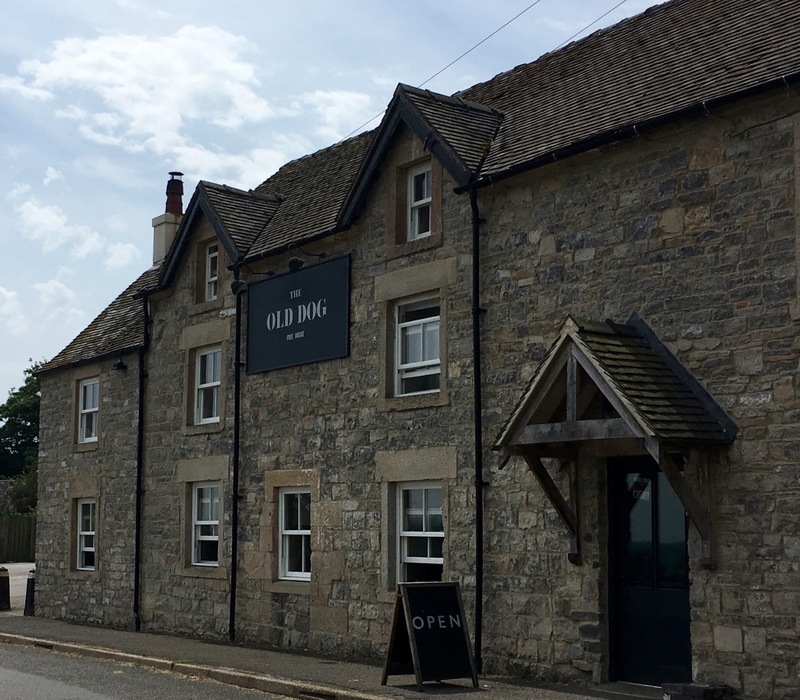 We engineered enough time for a scrambled pint and burger in the Old Dog, almost our second home in these parts, on the way back. It would have been less of a scramble if I hadn’t missed the turning at the top of the village and instead sent us plunging on a mile (or so!) detour down to the River Dove again. Still, it was nice and cool under the trees. Dinner on the last night was in a fancy brasserie called Whites. Easily the best place we ate all week. They looked after us really well in there and I like it when the owner makes an effort to come over and speak to new customers. The girls were sampling cocktails. “Ever tried a Tom Collins?” I asked Daughter No 2. 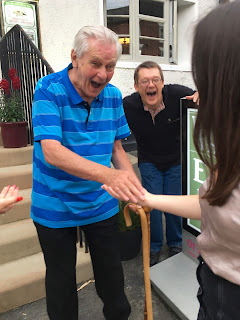 Waiting for the taxi home, the girls decided to re-enact the Werthers Originals telly advert with Grandad and the sweets handed out by the restaurant. Grandad needed some coaching, claiming to have never seen the white-haired gentleman in his high backed chair handing out boiled goodies to his grandchildren. The ensuing pseudo-mugging that played out on the steps of the restaurant had the owner raising an eyebrow from the other side of the glass door and wondering if he really should have made such hooligans as welcome as he did.